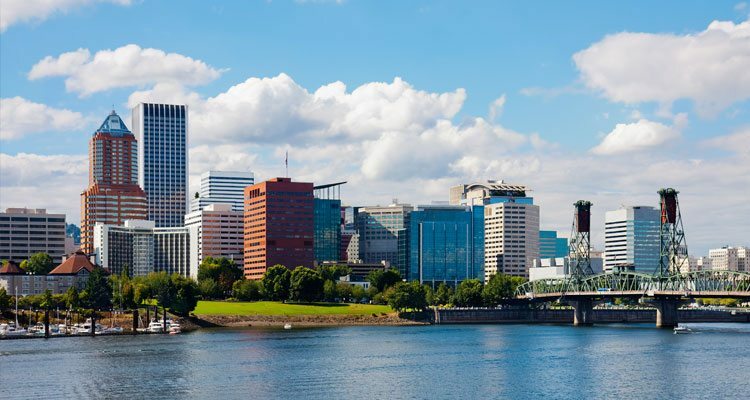 With a rough population of 2.5 million people in the city and surrounding communities, Portland is Oregon’s largest metropolitan area. Located near the border of Washington in the northwest part of the state, Portland is known as the “City of Roses” due to its ideal growth climate for Roses. Portland, often noted as being one of the most “green” cities in the world is the destination for many environmental conscience individuals. With a very mild climate, Portland, makes it simple for city dwellers frequently take advantage of its high walkability, cycling, public transit and almost unmatched number of public parks. In 2009, Portland was ranked 42nd in the world in quality of living in an independent assessment performed by the consulting firm, Mercer. Because of Portland’s location and low energy cost, it is a vital part of all commerce conducted on the West Coast. Portland is home to Interstates, International Air Terminals, Ocean Ports, & Railroads making it accessible to ship or receive goods no matter the type of transportation. As with many Northwest cities, Portland is a hub for technology. Intel is Portland’s largest employer providing jobs to more than 15,000 individuals. In addition to Intel, Portland is home to more than 1,200 other technology companies which has earned it the nickname, “Silicon Forest”.